I’ve had this on my TBR for aaaaaaaaaages so I decided to bump it up after Noelle over at Crime Book Junkie had raved about it! I hadn’t read the blurb before I started, so I had absolutely no idea what to expect! A relentless thriller that will grip you by the throat and refuse to let go. 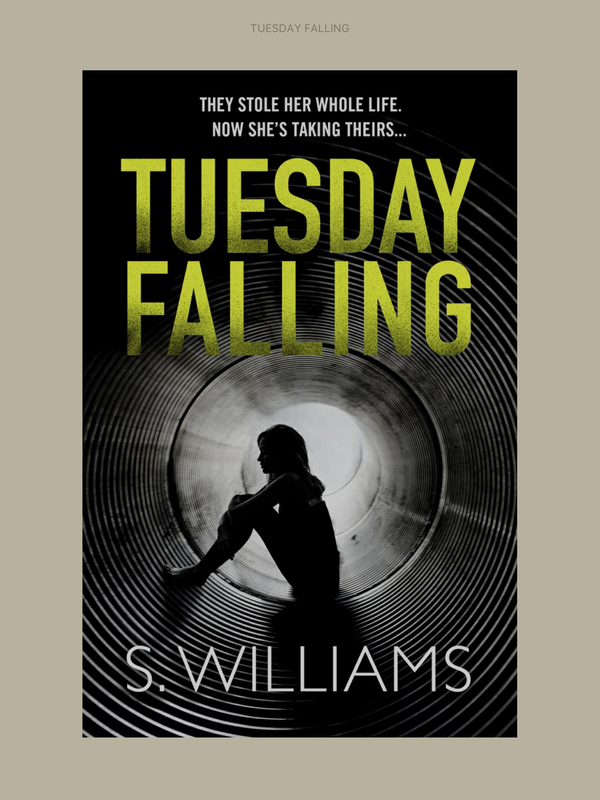 Tuesday Falling is a mental book! It’s a story filled with vengeance, violence and loss. It hits the ground running in the opening pages. It instantly draws the reader into the action. This book is packed full of rather inventive weapons used to commit heinous acts of violence on seemingly random gang members too. It makes for pretty interesting reading! As usual, no full on plot discussions here. The blurb gives you all the info. While I no doubt enjoyed Tuesday Falling, I just found myself left wanting more. I don’t know, it’s hard to explain! It was a cracking read, but I’ve read so many books lately that it takes a lot for a book to grab me these days! That being said, I’d still totally recommend Tuesday Falling as it’s a really great read and you can purchase a copy HERE . Short, but effective, Kate. Nice job!